Top Tips for Choosing The Right Domain Name for You! A good example for website hosting is Hosting Ireland, which is a very popular choice for business customers, but has not grown to the extent that it no longer provides personal support from its own staff. That means more personal support that is tailored to you, and gives your problems an appropriate amount of attention. 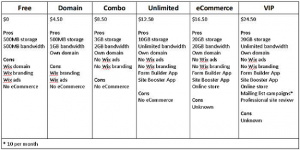 Why Compare VPS Hosting Plans Before you Buy? Virtual Private Server (VPS) is a hosting option now being offered by many hosting services. Customers sometimes have difficulty understanding exactly what VPS is, because for many it’s just another buzzword among the countless other pieces of terminology they have to learn. Before VPS was invented, there were really only two choices for hosting. You could have shared hosting, which was the cheaper option, where many websites existed in directories on a hosted server. The more expensive option, which protected businesses from some of the potential vulnerabilities possible under shared hosting, was to have a dedicated server. In this arrangement, only one site per server was allowed. VPS was designed as a hybrid of these two approaches, and has inherited some of the strengths and weaknesses of both. Is VPS the right choice for hosting your business site? Let’s find out. VPS takes the storage space of a server and partitions it into shares. Each website can be stored in its own partition, and each partition can run an entire operating system (usually Linux for its hosting advantages, frugal storage methods, and small storage footprint) in a virtual machine environment. Naturally it takes very powerful servers to allow all these virtual machines to be running at once, but modern web servers are built to handle the task. To you, as a customer, everything looks and feels the same as if you had a dedicated server. Your partition is separated from all the other partitions, and you won’t normally even be aware of their existence. •	Lower cost than having a true dedicated server. •	Easy to extend as your needs grow (or shrink). 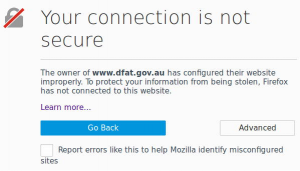 •	More secure than shared hosting. •	More individual control than is possible with shared hosting. These advantages are good because you have most of the best points of a dedicated server without the high cost. But no technology is perfect for all scenarios, and before we get carried away with the highlights, we should also consider the lowlights. Choosing VPS hosting will be a good idea for many customers, but it always pays to have some awareness of any potential drawbacks that could affect your choice. •	Quality of service depends on the skill of the hosting provider in configuring the VPS system to work correctly for multiple hosted sites. •	Some services over-subscribe their VPS hosting platforms, which can lead to problems if too many sites consume more than the expected amount of server resources. Obviously these potential problems are subjective, and each of them depends on the specific policies and practices of the hosting service that is providing the VPS hosting to you. Some providers are substantially better than others. Let’s have a look at a few examples to compare how they stack up. 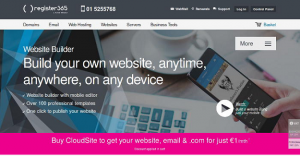 This Irish web hosting service offers great value on cloud-based VPS hosting. Plans start from €29.95 per month (choose to pay annually and you’ll get a free month). At this level you get 1x CPU, 1 GB of RAM, 30 GB of disk space, and 500 GB of data transfer per month. For €49.95 per moth you get twice the amount of CPU and RAM resources, 50 percent more maximum data transfer, and a total of 40 GB of disk space. Power users can pay €99.95 per month for 4x CPU, 4GB RAM, 1 TB data transfer, and 60 GB of disk space. At the very top tier, which costs €149.95 per month, you’ll get 6GB of RAM, 1.25 TB of data transfer, and 80 GB of disk space. There’s no easy way to directly compare these costs to Hosting Ireland’s dedicated server plans, because their lowest cost package for dedicated hosting is €279 per month, within includes 120 GB of disk space and 32 GB of RAM. The shared hosting from Hosting Ireland is much lower in cost. You could get 40 GB of disk space for just €14.95 per month, but you don’t get any dedicated CPU or RAM resources allocated especially to you. 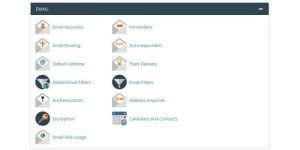 •	cPanel control panel if you choose CentOS Linux as your operating system. •	Softaculous automated installation scripts for cPanel, with (currently) 138 of the most popular software titles available at no additional cost. •	Continuous Data Protection (CDP) available, with backup “snap shots” on selectable intervals from 1 to 4 hours, so if you ever encounter a problem with your site, you can easily roll back to the last known good configuration. •	MySQL (CentOS Linux) or SQL Server 2008/2015 Web Edition (Windows). •	One dedicated IP address with the option to add extra IP addresses as you need them. •	Root access – you have full control over your virtual server. •	Easy to upgrade or downgrade your account at any time. 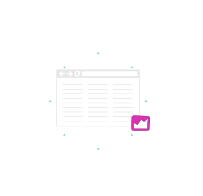 •	Unlimited domains (up to the capacity of your storage). •	Free setup for standard hosting configurations. •	Quick setup, with most VPS systems ready to launch within 24 hours. •	Technical support by phone and email. •	Located entirely in Ireland, which can provide legal advantages compared to hosting in some other countries, especially with regard to privacy laws. Located in the US, HostGator is one of the oldest independent hosting companies still in operation. Their hosting plans are fairly simple to understand and come with a good selection of options. The first tier of VPS is in a package called “Snappy 2000”, costing $79.95 per month, provides 2x CPU, 2 GB of RAM, 120 GB of disk space, and 1.5 TB of data transfer. Upgrade to Snappy 4000, and you get 2x CPU, 4 GB of RAM, 165 GB of disk space, and 2 TB of data transfer for $119.95 per month. Finally there is the Snappy 8000 package which provides 4x CPU, 8 GB of RAM, 240 GB of disk space, and 3 TB of data transfer. This package is for the serious VPS customer and will cost $149.95 per month. The name of this American hosting provider says it all. They’re squarely focused on VPS service provision. Service starts from as low as $17 per month, for which you get 1x CPU, 500 MB of RAM, 10 GB of disk space, and a massive 3 TB of data transfer. That sounds impressive, but unless you have the most popular website on the planet, 3TB of bandwidth is not really something that will rock your world. VPS.net doesn’t feature hosting packages in the same way other providers do. Instead you start with that core $17 service and add on to it according to what you need. To double each feature doubles the cost, so to get 2 x CPU, 1 GB of RAM, 20 GB of disk space, and 6 TB of data transfer, you’ll need to spend $34 per month. You can also increase the storage on your server, but the rates are exorbitant compared to doubling down on everything. •	Servers may be located in the US, Canada, UK, Netherlands, or Germany. •	Support available by phone, email, knowledgebase, and live chat. •	Root access, giving you full control over your VPS. •	Additional services available for a fee upon request. This is another hosting company based in Ireland, however unlike Hosting Ireland the IP address does not trace a pure path to Ireland but includes a hop through the UK. That means you have some of Ireland’s legal protections, but UK privacy laws may also apply. LetsHost has chosen to focus on low cost as the main selling point, but as mentioned earlier, cost should not be the sole factor you base your decision upon unless you must. The lowest cost package from LetsHost is €18 per month, and for this price you’ll get 1x CPU, 512 MB of RAM, 20 GB of disk space, and 500 GB of data transfer. The trade off here is less RAM and less disk space compared to the industry leader, and that actually does make a difference because RAM is the most crucial factor in performance when the server is under heavy loads (if, for example, your site uses a lot of PHP code or huge databases). At the next level up, LetsHost offers 1x CPU, 1GB of RAM, 35 GB of disk space, and 1 TB of data transfer for €35 per month. This puts it almost on par with Hosting Ireland’s €29.95 per month deal, except it comes with more data transfer and slightly more disk space. The third tier of VPS service from LetsHost costs €55 per month, and provides 2x CPU, 1.5 GB of RAM, 50 GB disk space, and 1TB of data transfer. The closest comparison to our leading provider is their €49.95 per month deal which is equivalent in CPU allocation and provides more 25 percent more RAM, but only 40 GB of disk space and 750 MB of data transfer. At tier 4, the price jumps to €85 per month, and by now Hosting Ireland has easily moved ahead in terms of value compared to LetsHost. This plan provides 2 x CPU, 2 GB of RAM, 75 GB of disk space, and 1.5 TB of data transfer. The top level plan from LetsHost is €105 per month, and for this price you get 3 x CPU, 3GB of RAM, 85 GB of disk space, and 2 TB of data transfer. This can be compared to Hosting Ireland’s €99.95 per month plan which provides 4 x CPU (+1), 4 GB of RAM (+1), 60 GB of disk space (-25), and 1TB of data transfer (-1). Plus of course Hosting Ireland has another level above this which costs just €20 more than LetsHost’s top level plan, but provides 4x CPU (+1), 6GB of RAM (+3), 80 GB of disk space (-5), and 1.5 TB of data transfer (-0.5). GoDaddy is a global company with a bit of a sketchy reputation due to the difficulty of opting out of all the various extras that are offered on every service they sell to you, but once you learn how to deal with this problem and get around it, you’ll find GoDaddy is not worse than many other similar hosting companies that derive their revenue from pure volume. GoDaddy has earned a reputation for strict enforcement of policy, often to the detriment of customers, and there are a lot of sites online dedicated exclusively to complaining about GoDaddy. Complaints especially focus on reportedly poor customer service, aggressive billing, and complexity in the ordering and cancellation process. The VPS packages available from GoDaddy start at $43.99 per month, and for this price you’ll get 2x CPU, 1 GB of RAM, 40 GB of disk space, and what they refer to as “unmetered bandwidh” (although customer complaints would indicate otherwise – see the top answer to this question for details). The next level up is $57.99 per month and provides 2x CPU, 2 GB of RAM, and 60 GB of disk space. 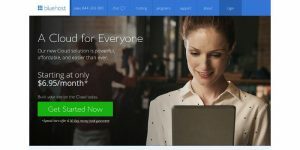 GoDaddy’s third tier jumps a huge amount to $101.99 per month and offers 2x CPU, 4 GB of RAM, and 120 GB of disk space. The top plan from GoDaddy costs $203.99 per month, and for this you’ll get 2x CPU, 8 GB of RAM, and 240 GB of disk space. •	Linux operating system with cPanel included as standard, Windows with Plesk available on request at extra cost. •	Free patching, security monitoring, and site backups. More frequent backup intervals are available for $6.99 per month for 50GB of data. •	Support available by phone, live chat, knowledgebase, and community forums. When reviewing anything to do with GoDaddy, it’s important to take a moment to talk about the support offered. The main thing to highlight here is the lack of ticket-based email support, because some issues are too complicated to describe easily in a live one-on-one support session, and details may be missed in this scenario. It can particularly be a problem if the issue you’re having trouble with involves anything to do with program source code, because that’s not something you can quote over the phone line by line. Calling the phone support will get you greeted initially by a robot. The robot is friendly enough, but it will still put you on hold. You’ll get to decide if you want to listen to music or not, but it seems at least part of the long holding time you’ll encounter is to play recorded ads to you so you’ll consider buying more services from GoDaddy. It’s actually never a good sign if you call a support line and you’re put on hold for too long. What that indicates is that there are so many problems with the service that they are flooded with support calls. Once you do get connected with a live operator, you’ll get fair technical support where the staff will sincerely do their best to help with your issue. They may not have the answer you want, and it may take a while to get there, but they’ll actually put in the effort, which is more than can be said for many other support services. The one exception is when you’re complaining about a billing issue. Many customers have complained that they’ve been handled rudely in such cases, but it’s probably not too surprising considering the emotional state that people are usually in when they’re calling with such complaints. Connecting to live chat can be more difficult. In fact it can be difficult to even find where to launch the chat service. Once you manage that, there is virtually no waiting time to talk to a live operator (probably because there’s no chance to play you recorded sales messages). GoDaddy is not recommended for novice users, and yet those are the users most likely to choose GoDaddy, and the huge numbers of them cause some problems for those customers who could truly benefit from the services GoDaddy provides. •	Price plans, establishing cost against the memory allocation, storage space, and data transfer offered. When considering these things, memory allocation was the most important factor, and data transfer was the least important factor. Very few sites ever manage to hit their bandwidth quota, while low RAM will have a major impact on site performance. •	Range and quality of technical support services available. •	Additional features and inclusions available for free. •	Additional features and inclusions available for extra cost. Hosting Ireland came out on top for VPS hosting and for providing the best overall value of features vs. price. As a smaller hosting company they are able to provide a high level of customer service, and are not plagued by the overcrowded server environment that will affect some of the larger service providers. HostGator came in at second place, mainly because their service is a bit more limited than that of Hosting Ireland, although they do provide an extra free IP address for each account and very generous storage quotas. Awarding third place to VPS.net was a more difficult choice, because the service is relatively expensive in terms of what is provided for the price, but the simplicity of the pricing structure (double everything and double the cost) plus huge choice in operating system options were strong points in favour of VPS.net compared to the two lower ranked competitors. LetsHost provides acceptable VPS packages but head-to-head against Hosting Ireland these packages come up short in the points that really matter. While in some cases the LetsHost packages are cheaper, they’re not necessarily better value, and did not provide quite so many features. Compared to HostGator, LetsHost offered more operating system choice, and a cheaper price, but HostGator still appears to provide better value than LetsHost. Rounding out last place is GoDaddy, mainly due to the apparently bogus “unmetered bandwidth” claim which so many people have had issues with, aggressive sales tactics, massive difference between the initial purchase cost and renewal cost, plus limited technical support options. Of course these are opinions and opinions are subjective. Your own hosting needs are unique to your situation and the right choice for you could be based on different criteria to the criteria we used in this evaluation. It is hoped that the opinions given here will at least provide you with some guidance in making the right decision for you. 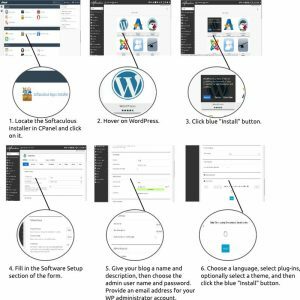 WordPress Hosting…. Do I have an Option? Whether we choose to look on the bright side or not, the simple fact is that WordPress is here to stay. For those lacking the technical ability to develop websites manually and lacking the financial resources to pay a skilled developer to do the job for them, it remains a viable means of self expression. 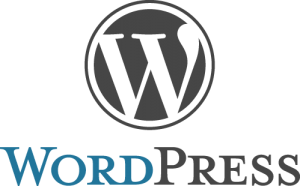 Dedicated managed WordPress hosting is the quickest and simplest way to get a WordPress website up and running. This is suitable where you only will be hosting one site from a specific server location. If you’re scratching your head in confusion at that statement, it’s probably not a matter that’s going to affect you. The fact is, you can host more than one site from a single server location, and there are certain circumstances where that may offer advantages. With managed WP hosting, that option is off the table. A notable exception is Hosting Ireland, which does allow multiple sites to be hosted from a single account, making it ideal for web developers and resellers looking for an inexpensive way to provide fully developed WordPress sites to their customers. Managed hosting can also give you a little more security from attacks, though it’s not going to necessarily be able to fend off all attacks. 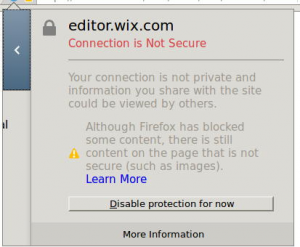 The other side of it is that managed hosting makes it a little less easy to do investigative work on your own if your site security does get compromised. You’ll have to rely on tech support to do that for you. Remarkably, even though managed hosting imposes greater restrictions and is less flexible, it is usually offered at premium rates. Presumably the slightly higher price is due to the configuration work performed by technicians when the site is initially set up for you, and the greater dependency on tech support that is expected. You’re better off with managed dedicated WordPress hosting solutions when you have a high traffic site and you don’t have time to take care of the administrative side. It’s the kind of hosting you need when you prefer to call tech support for help with problems instead of rolling up your sleeves and hunting for the solution yourself. Regular hosting is the most flexible option, because you can do anything you want with your allocated server space, including installing WordPress. If that’s all you’re going to do with it, then you may prefer the simplicity of managed WP hosting, though there are still some reasons to consider regular hosting. That’s the main difference between people who are likely to choose regular hosting instead of managed hosting when their chosen publishing environment is WordPress. When you don’t have managed hosting, you have to do a lot more yourself. You can contact tech support when something goes wrong, but you’ll first have to experience something going wrong. •	WP Engine – This is a pricier option with plans starting at around 19 euros per month. These plans don’t have unlimited bandwidth, but what is offered is still fairly generous. This is the right choice for those who prefer to deal with giant global corporations rather than local businesses. 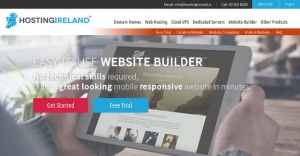 •	Hosting Ireland – Plans start at 5.99 euros per month, with unlimited bandwidth, 10GB of space (2 extra euros per month for 5GB extra if you should need it), and more extras than we can list. You also get 2 months free with annual subscriptions. Managed WordPress hosting is the perfect solution for website customers who are planning only to use WordPress in their hosting and who prefer to leave the management to the providers. As you can see from the three top WordPress hosting companies in Ireland listed above, the pricing for managed hosting doesn’t have to be off the charts. The unlimited bandwidth offered by Hosting Ireland certainly makes them the most attractive option, but WP Engine has the reliability of a huge corporation and WordPlace has the free SSL option on offer. 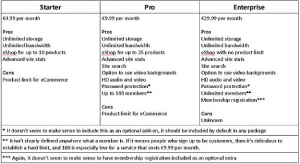 Hosting Ireland was also the only one of the three that made managed WP hosting optional, and the cost for this is only 1.40 euros more than the standard regular hosting plan, so this is further food for thought. From the sites reviewed above, HostingIreland offered the best overall experience in terms of value for money, performance, and ease of use. If they added some more templates to their offering, it would be as close to perfect as an automated website builder can get. Buying an SSL certificate is not like a regular purchase, because there are a few tests and checks that have to be done before a certificate can be issued. This is for the protection of everyone, including you. Usually the easiest way is to get your Hosting company or SEO manager to obtain the SSL certificates for you, because this will simplify the process greatly.